Puts that bad hair day in perspective, doesn’t it. 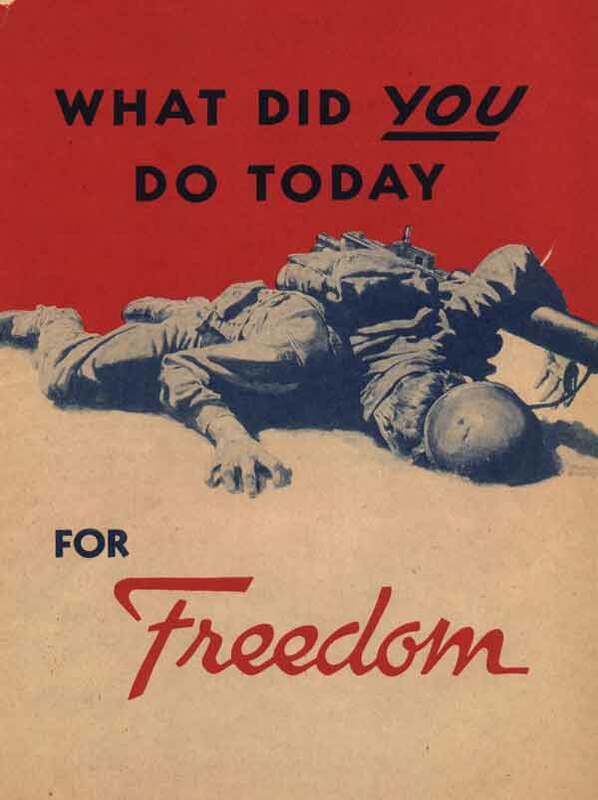 Again, to restate the point: let’s imagine how some people – hell, a lot of people – would react if the government put posters like this in bus stops and public buildings today. People would shriek as if they were having burned skin peeled off with a straight-edge razor. They would be convinced that the transformation of America into a fascist state was finally complete. But this was FDR’s America. Just so we’re clear.